An Authentic Newspaper of a Very Important Date. As a Memento of Your Arrival in Australia. An authentic newspaper from the day you landed in this country. For a Very Merry Christmas. An authentic newspaper from the day you were born. To Celebrate a Very Important Day. An authentic newspaper from the day you were born. To Celebrate Christmas. An authentic newspaper of a very important date. To Celebrate Fathers Day. An authentic newspaper from the day you were born. To Celebrate Mothers Day. An authentic newspaper from the day you were born. To Celebrate Our Wedding Anniversary. An authentic newspaper from the day we were married. 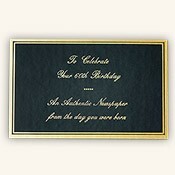 To Celebrate Your 100th Birthday. An authentic newspaper from the day you were born. 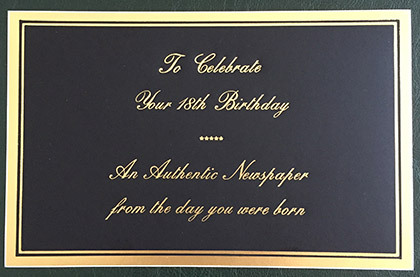 To Celebrate Your 18th Birthday. An authentic newspaper from the day you were born. 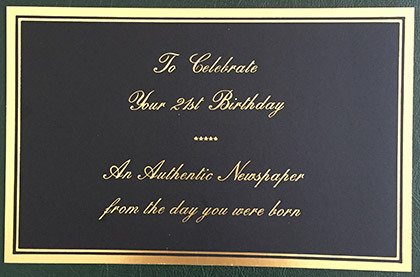 To Celebrate Your 21st Birthday. An authentic newspaper from the day you were born. To Celebrate Your 30th Birthday. An authentic newspaper from the day you were born. 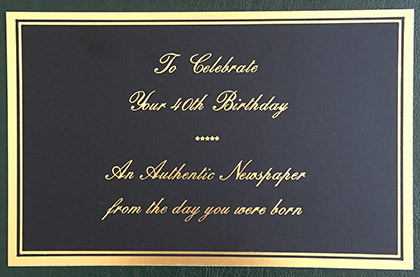 To Celebrate Your 40th Birthday. An authentic newspaper from the day you were born. To Celebrate Your 50th Birthday. An authentic newspaper from the day you were born. 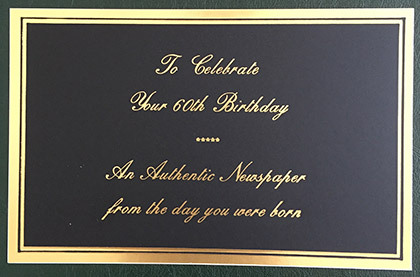 To Celebrate Your 60th Birthday. An authentic newspaper from the day you were born. To Celebrate Your 70th Birthday. An authentic newspaper from the day you were born. 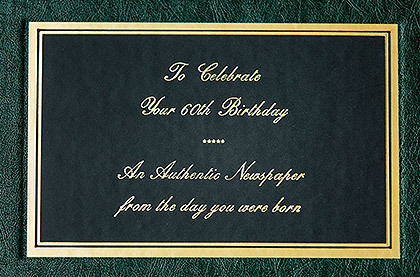 To Celebrate Your 75th Birthday. An authentic newspaper from the day you were born. To Celebrate Your 80th Birthday. An authentic newspaper from the day you were born. 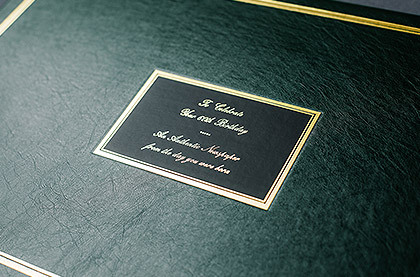 To Celebrate Your 90th Birthday. An authentic newspaper from the day you were born. To Celebrate Your Birthday. An Authentic Magazine from the month you were born. To Celebrate Your Birthday. An authentic newspaper from the day you were born. To Celebrate Your Birthday. An authentic newspaper of a very important date. To Celebrate Your Wedding Anniversary. An authentic newspaper from the day you were married. To Commemorate Your Valued Service. An Authentic Newspaper of a Very Important Date.